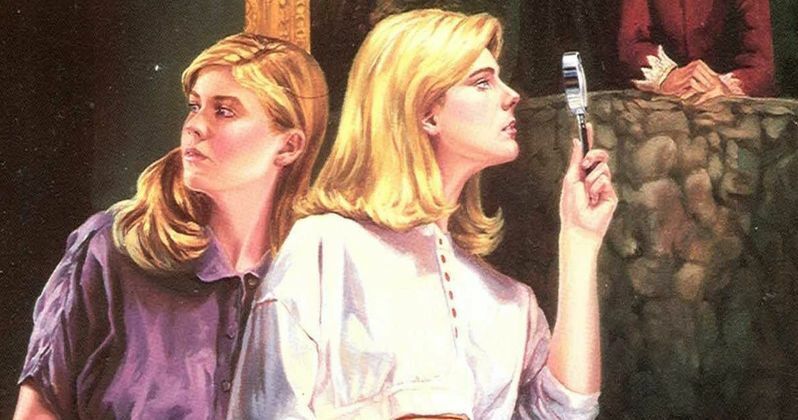 NBC has put a new Nancy Drew series into development, from writers Tony Phelan and Joan Rater, creators of the CBS series Doubt. The duo had actually written a pilot script last year for a much different Nancy Drew show, and while it was said to come "down to the wire," CBS ultimately didn't pick up their Nancy Drew show, but instead picked up their Doubt pilot to series, which stars Katherine Heigl, Dule Hill and Laverne Cox. Now the writers have come together for a much different pilot that they will executive produce alongside Dan Jinks and CBS Television Studios. Here's what Joan Rater had to say about how they couldn't give up with this show. "We did a pilot and we tried to forget about it but we couldn't; we loved the characters so much. But we knew that we had to come up with a different way to go about it." In this version of Nancy Drew, she is a best-selling author, who writes her stories based on her childhood exploits with her two best friends, although often taking great liberties with the stories, casting herself as the main hero and her friends as the sidekicks. While Nancy Drew became a famous author, she lost her two best friends in the process. The story follows Nancy Drew in her 40s or 50s, as she tries to bury the hatchet with her friends, who are still upset about how they were portrayed all those years ago, when she becomes embroiled in a real-life murder mystery. The animosity starts to fade away as they start to draw off their strength of solving mysteries together. Here's what Joan Rater had to say about why it's important for these characters to be in their 40s and 50s. "(Their age) we think is their superpower. No one notices them when they walk in. It's a way for them to fly under the radar. They talk about how they feel unseen." It remains to be seen if any of the actual stories from the countless Nancy Drew books will be used in this new TV series or not. The character was created in 1930 by author Edward Stratemeyer, as a female companion to his Hardy Boys book series. The CBS pilot that was almost ordered to series last year starred Sarah Shahi as Nancy Drew, who works as an NYPD detective. The character first debuted on the small screen with the 1977 TV series The Hardy Boys/Nancy Drew Mysteries, which ran for three seasons on ABC from 1977 to 1979, starring Pamela Sue Martin as Nancy Drew, Shaun Cassidy as Joe Hardy and Parker Stevenson as Frank Hardy. There was also a short-lived Nancy Drew series in 1995, which ran just one season, starring Tracy Ryan as Nancy Drew. There was also a 2007 feature film entitled Nancy Drew, starring Emma Roberts as the title character. Series creators Tony Phelan and Joan Rater previously had an overall deal at ABC Studios, where they worked for nine years as executive producers on Grey's Anatomy, serving as the showrunners for the past three seasons. They now have an overall deal at CBS Television Studios, where they created and produced Doubt, along with their first Nancy Drew pilot. We'll likely have to wait quite some time to see if this version of Nancy Drew will make it to the airwaves. Deadline didn't offer any more details about the development process, but hopefully we'll hear more soon.